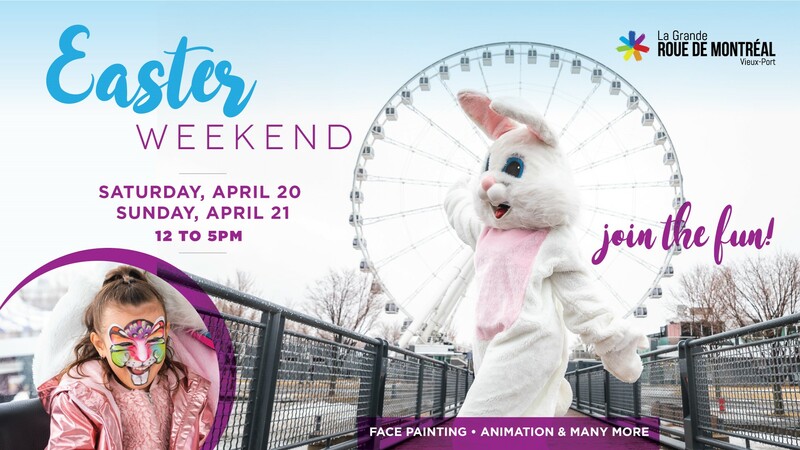 Enjoy an amazing panorama 60 metres high, four seasons a year, on the largest observation wheel in Canada. 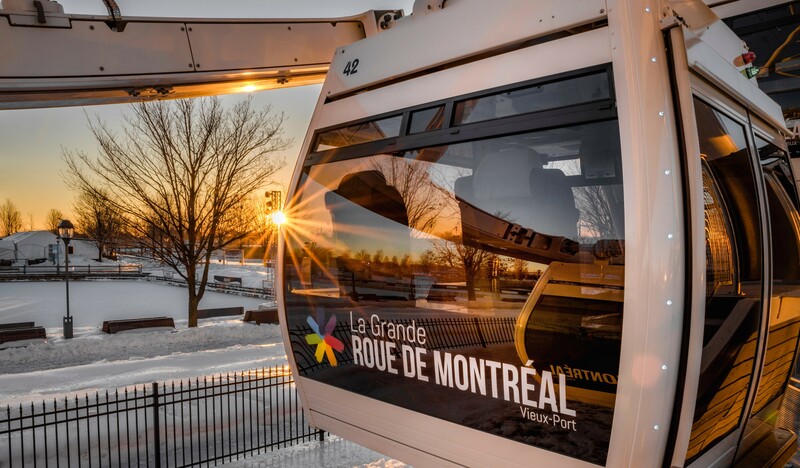 La Grande Roue de Montréal brings you an unforgettable experience, in the comfort of a climate-controlled gondola which is air-conditioned in the summer and temperated in the winter. A unique activity in the picturesque setting of Old Montreal, on the shore of the Saint Lawrence River. Experience an exceptional moment with your family or friends. With this package, your group of up to eight people can enjoy its own gondola. Thrill seekers and lovers of luxury, welcome to gondola number 42, the only cabin equipped with a glass floor and four large seats upholstered in Italian leather. The ultimate in comfort! Valid for two adults and two children, or one adult and three children, this package allows you to save while the kids discover the city's most amazing view! Day and Night at the Wheel are two different experiences, come and enjoy it with our Night and Day combo ticket! Enjoy the 4 seasons comfortably seated in our cabins by purchasing our Yearly Pass valid for one entry per day for a year. 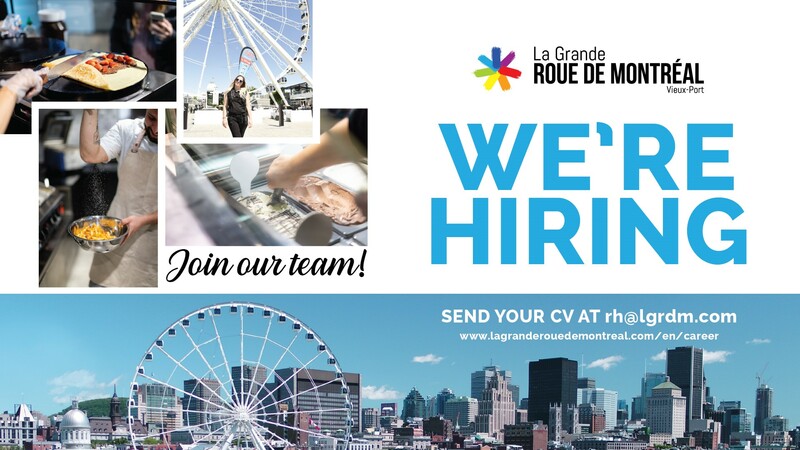 Beautiful pictures of La Grande Roue de Montréal! Visit the gallery and explore the city!